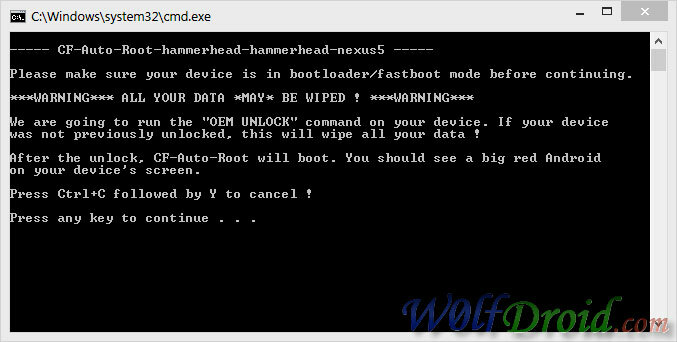 Rooting your Nexus 5 phone by CF-Auto-Root method is the quickest and easiest way for gaining full root permissions on the device. 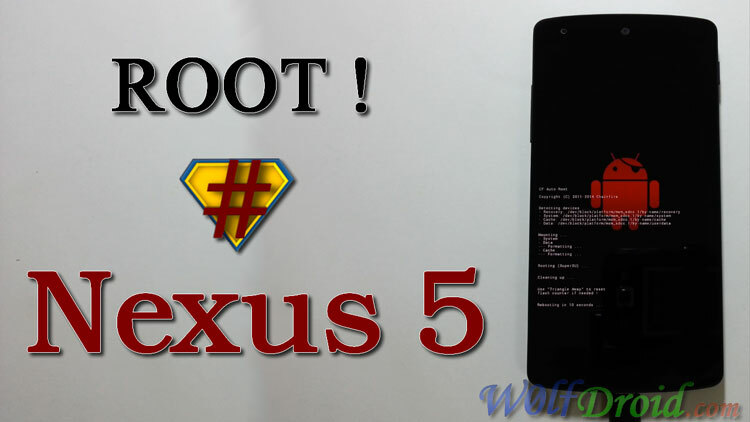 CF-Auto-Root does not include a custom kernel, it will keep your nexus 5 as close to stock as possible with root access. Backup all data before starting rooting process, it will wipe all your data. Double click "root-windows.bat" for windows and press any key on your computer's keyboard to continue. 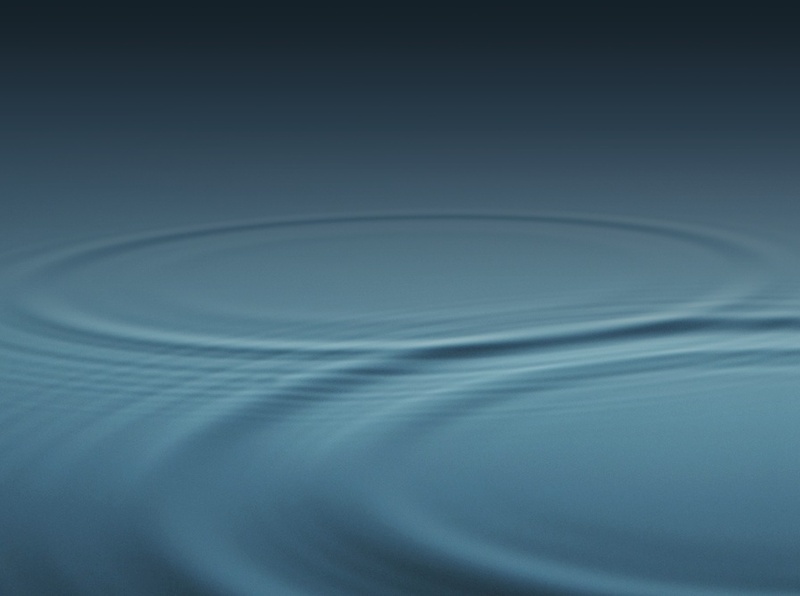 Press vol up to choose "unlock bootloader", then power button to confirm. Your nexus 5 will erase the data, then reboot into a screen which display a red Android logo. Wait a few minutes until your device finish configuration. CF-Auto-Root method will unlock bootloader, install SuperSU and binary, NO custom recovery. Credit goes to "chainfire" cf-auto-root developer, main thread.